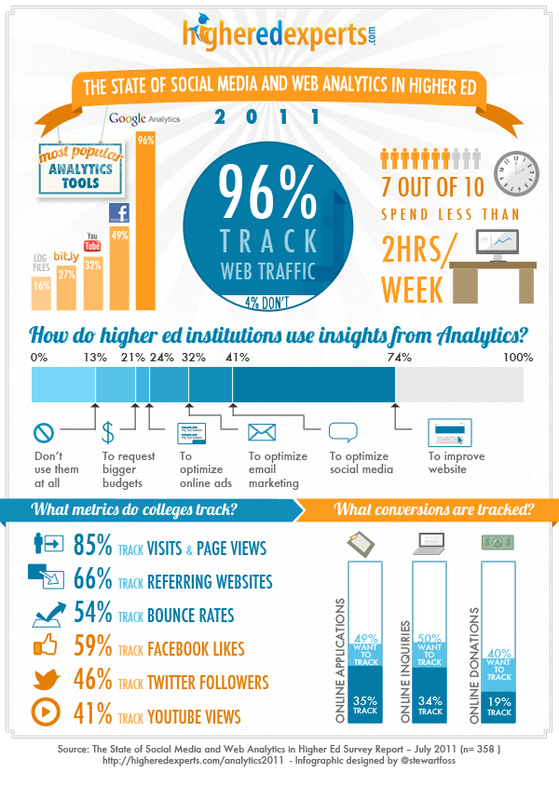 Exactly 3 months ago I launched the 2nd survey on the State of Web and Social Media Analytics in Higher Education. 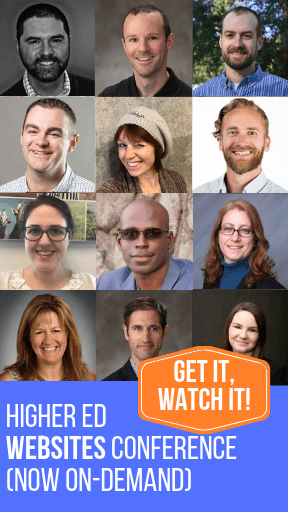 The idea behind this survey was to take the pulse of the online analytics practice in universities and colleges. More than 350 professionals completed this survey in May. And, today, I’m happy to share some of the high-level results through this infographic I created with the help of Stewart Foss from eduStyle who did a fantastic job with its design. As I wrote on this blog a few months ago, I really believe infographics are a great vehicule to share research data. So, feel free to use the embed code to share it even further. We’ve made some progress on the Web Analytics front in higher education, but there’s still a lot to be done – and a real need for more education in this field. So, that’s why after doing my part to raise awareness about the topic via different initiatives (benchmarking monthly surveys, presentations, higheredanalytics.com), I decided to work on the development of a 4-week online course on Web Analytics in Higher Ed – to be launched this September. I’ll tell you more about it soon.